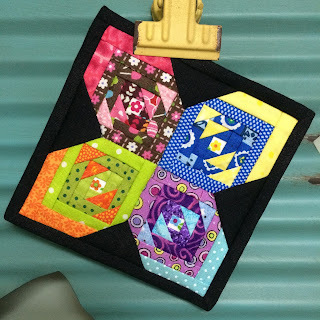 Here is another one of my "micro mini" quilts that I made for the Make Modern Magazine challenge! This one measures at 5 1/2" square, just under the 6" size limit! I hadn't planned on it having the four different colour schemes in it, but I simply love the rainbow look to it.